From the coastal town of Fethiye, we took an overnight bus to the Cappadocia region which is well known for its unique natural chimney rock formations created by thousands of years of erosion and volcanic actions. Cappadocia covers part of the Central Anatolian region with provinces of Aksaray, Nevsehir, Nigde, Kayseri and Kirsehir. To explore Cappadocia, we based ourselves at the small tourist town of Goreme which is also where most tour agencies and bus companies are located. Since 2000 B.C, people in this region had made use of these natural rock formations to build underground cities and stayed in cave houses to protect themselves from wild animals and enemies. Today, most of these cave houses were preserved and used for a very different purpose – tourism and we had the opportunity to stay at one of these houses in Goreme. 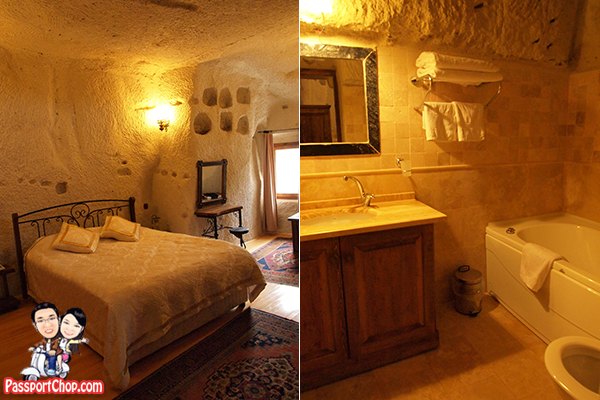 The Cappadocia Dervish Cave House Hotel is a traditional central Anatolian style hotel, built and hand-crafted from one of the many chimney rock formations in Cappadocia. There are only 8 rooms at Dervish Cave House with each cave room designed to creates a sense of uniqueness and individuality, and yet preserving the original cave structures. The terrace offers a great view of Goreme Town and its surrounding valleys with cave houses dotted all across the Cappadocia landscape. Perfect place to chill out after a long day of touring in the region. A continental breakfast comprising of bread, olives, cheeses, muesli, and Turkish yogurt etc. (hot meals e.g. omelettes and scrambled eggs are available upon request – included in the room price) is served at a small hut (which doubles as the check-in reception and sleeping area for the hotel’s caretaker – who also prepares the breakfast) right by the entrance to Dervish Cave House Hotel. For pictures of the views and what the breakfast is like at Dervish Cave House Hotel, check out PassportChop.com Facebook page photos. Dervish Cave House Hotel Room 8 (which we stayed in) is the highest cave rooms in the hotel and offers a great view of the Cappadocia surroundings. However, being a natural cave formation, there are no lifts so you will have to carry your luggages up a few flight of stairs. For an idea of how high the room is, check out the picture on the right hand side below – the room is located directly above the terrace (you can see the room’s windows – 2 small portholes on the rock surface). 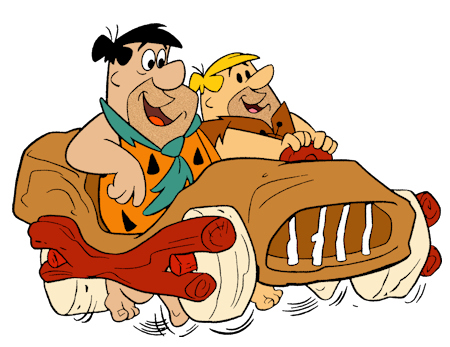 Even though we are living in a “cave”, there are facilities that Fred Flintstone would have been very jealous of. Each of the rooms come with central heating, satellite TV, telephone, wired and wireless Internet, just like any other city hotels. There is also a jacuzzi in every room – perfect for a long relaxing bath after a tiring day exploring underground cities and cave houses “Indiana Jones”-style in the area. One thing to note is to handle the walls of the cave rooms with care – they chip off quite easily; while they won’t crumble down on you, it would be inconvenient if the wall-mounted power socket drops off if you are not careful in plugging in your laptop. For a panorama view of what Room 8 looks like – check out this picture; note the 2 portholes I pointed out in the picture above. All rooms come with natural air-conditioning (as advertised in the Dervish Cave House website), meaning that if you feel that the room is too warm, open the windows and enjoy the cool temperature all year round (due to the terrain and altitude that Cappadocia is located). The portholes (we counted about 6) in the room provides natural lighting and keeps the room cool at all times. If you have not booked your Cappadocia tours and Hot-Air Balloon trips, don’t worry as Cemal, the owner of Dervish Cave House also operates a tour desk and can make bookings for any tours at your request. There is also a laptop with wired internet access, at the reception hut, which you can use to research and plan your trips. Most Cappadocia do pick-ups at various cave houses, saving you the 10-minute walk to Goreme town (worsened by the fact that all cave houses look the same and you can easily get lost) – something that Mr Flintstone would have envied (with his foot-powered vehicle). 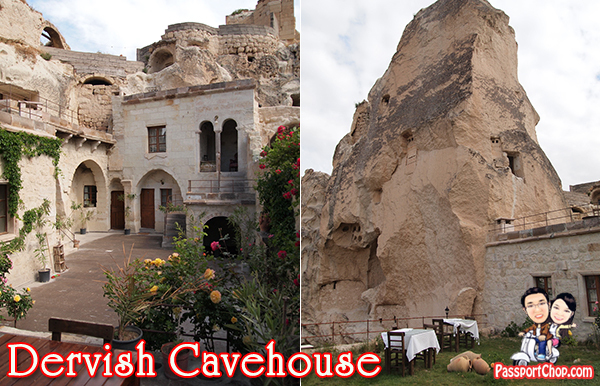 For reservations and info on Cappadocia Dervish Cave House Hotel, check out: http://www.dervishcavehouse.com/. For reference, our room cost Euro 60 per night in May 2010. Hello! Great message. Are you able to tell me how one can subscribe your blog? Hey I discovered this website to be actually interesting! Bookmarked! I will be visiting this hotel this week. I am excited. The subject of your article is well written and I thought I’d leave a little compliment is. Well done and continued with it! A fantastic post, Fethiye is a magical place to visit and must be seen to be believed! What a fascinating destination. A Dervish Cave house! with all the modern cons, this is a really fascinating idea, and what an interesting holiday you must have had. It obviously has a lot of ancient history in this area to go with the cave dwellings. This is the first time I have heard of ancient caves being updated as a tourist dwelling people to come and actually stay in the caves. Interesting stuff. I was just looking for this particulars for some time. Following six hrs of constant Googleing, lastly I managed to get this inside your web page. I would love to stay in a cave house! I am thoroughly enjoying your blog, I found it through the #bestbloggers competition.